George and Loraine Stank have been married for 70 years. They share on of our spacious double rooms here at Augusta Rehab & Health. 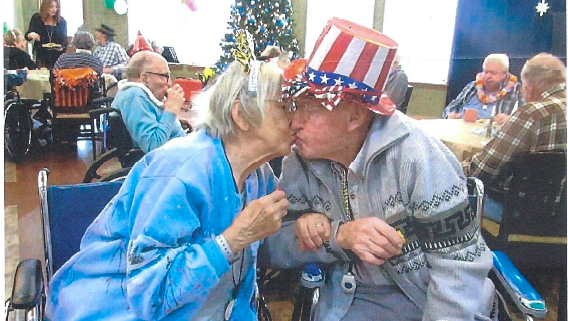 The couple is pictured below sharing a New Year’s kiss at our 2018 welcome party. We celebrated the new year with old time music, hats, noisemakers, party favors prize drawings and a variety of treats and beverages. 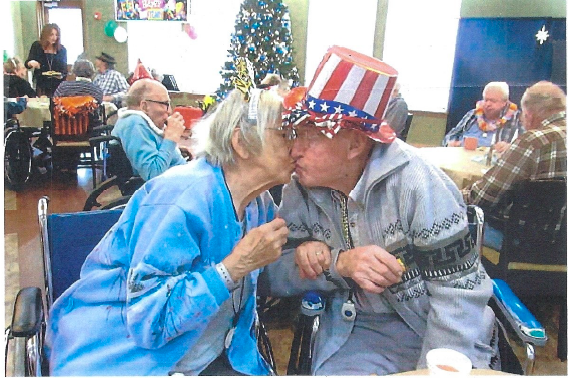 Everyone had a great time including the love birds, George and Loraine! http://augustahealthandrehab.com/wp-content/uploads/2018/01/Screen-Shot-2018-01-09-at-9.41.09-AM.png 378 568 Taylor Pelissero http://augustahealthandrehab.com/wp-content/uploads/2016/09/Augusta-logo.png Taylor Pelissero2018-01-09 09:45:422018-01-31 11:52:13Happy New Year!